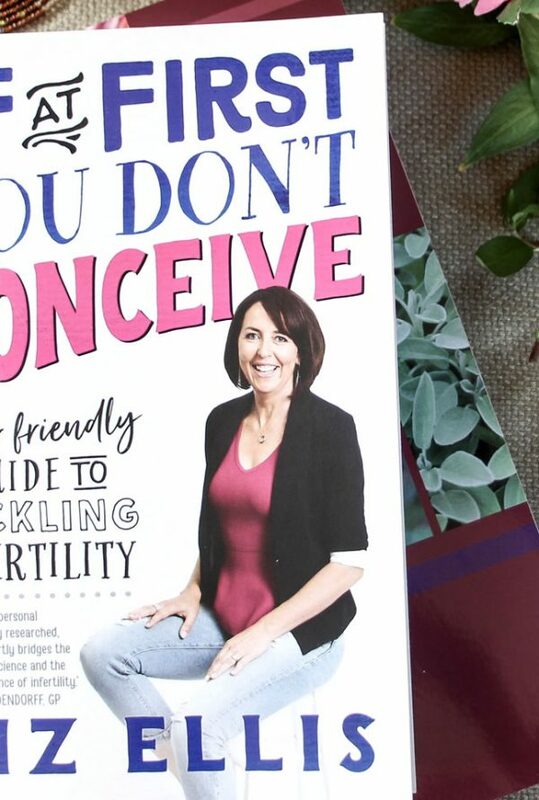 A few days ago, I was fortunate enough to be at the book launch of “If At First You Don’t Conceive” – Liz Ellis’s guide to tackling infertility. Liz Ellis AO was the former Australian netball captain who found herself, as she says..“part of the one-in-six couples in Australia affected by infertility” – a road she stayed on for five years. I decided to attend Liz’s talk as I have heard so much about her and I’m always on the lookout for inspirational people, seminars and courses that will further my ability to truly understand and sympathise with everyone who comes to see me. It’s my belief as a natural health practitioner, that in order to sincerely give everything I can to my patients, I need to be able to deeply understand and fully appreciate their suffering. I was so grateful to have attended Liz’s talk. She is such an inspiration! I found Liz to be so open and honest with all her fertility experiences – from dealing with several miscarriages and the dreadful grief and loss that pervaded her whole being, to the feelings of guilt and self blame from which so many women suffer during what can be a very long and lonely journey. Liz also spoke about her experience as a professional netballer and the fact that netball is the ultimate ‘team sport’. This made me think about the significance of a truly dedicated, united ‘team’ of health professionals, ideally working together for the same objectives – to support and help each and every individual in their care. Unfortunately, however, for many couples this is not the case. Many have gone through such a turbulent ride of emotions and despair, often leaving them feeling confused, discouraged and alone. Having endured these experiences, Liz decided to write this book as she wanted to “help other hopeful parents-to-be, navigate the often bewildering, uncomfortable and sometimes utterly devastating waters”. Liz manages to articulate her well-researched information affectionately, compassionately and in good humour. I’d like to take this opportunity, on behalf of everyone struggling with the complexities and confusion surrounding the world of infertility, to thank Liz Ellis for her resolute endeavour to ameliorate the outcome of what can be a very challenging journey.